Barley Mow | Pub Quizzers | Find a pub quiz near you, now. 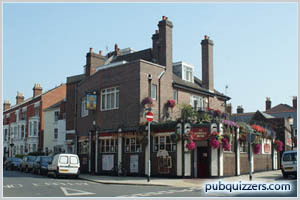 Pub quizzes take place at Barley Mow, Southsea on Mondays (weekly) at 20:30. Entry is £1.00, you can have up to 4 people on a team. There are prizes of cash, drinks. Happy quizzing! Winners get round of drinks and question for £100. If wrong, 2nd team get £50 question. If wrong, 3rd team go for £25 etc. Sometimes the £100 is won, other times ages is spent trying to give away a fiver. The landlady wants it known that the pub serves 8 cask ales.